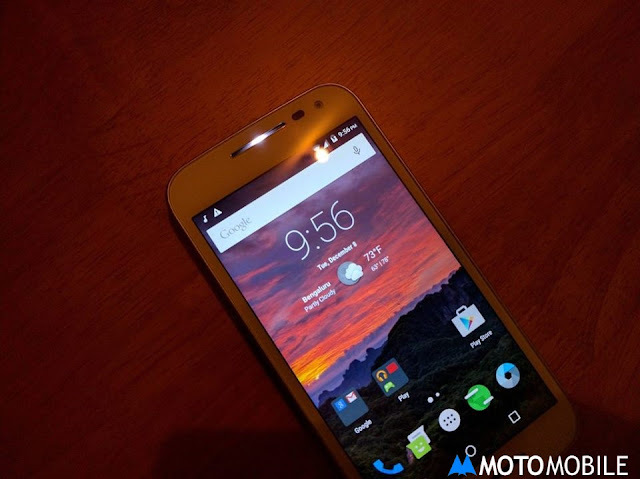 Motorola Moto G 3rd Generation comes with a hidden led like other Moto Smartphones . We still don't know why Motorola does not include LED software in Some Moto Smartphones to use LED . Moto G 2nd Generation comes with LED and Moto G 3rd Generation also comes with LED light ( but is hidden and there is no official software to enable it ) . Though Hidden LED light of Moto G 2015 can be enabled and you can use it as Notification + Power Source LED light , means the LED will lit when you will get any notification as well as when your phone will be connected to any power source . Moto G 3rd Gen with unlocked bootloader and Rooted . Step 1. Download Moto LED app from Play store . Step 2. Give it super user permission . Step 3. Reboot your Moto G3 . Step 4. Your Hidden led for Battery Charging and USB is enabled . Step 1. Download Tasker and AutoNotification from the PlayStore and Open Tasker ! Enjoy Hidden LED feature on your Moto G 3rd Generation !